Netflix has a Facebook app that can automatically broadcast what movies you're watching and make recommendations based on friends' viewing habits, but a 24 year-old law prevents the app from being available in the United States. Now, Netflix is trying to change that by asking the U.S. Senate to revise the law with a new bill. On Tuesday, the company made its case before the Senate Judiciary Committee's subcommittee on privacy, technology and the law, Reuters reports. Netflix wants its app be to part of a new wave of Timeline apps, which can send information to users' profiles after getting a one-time approval. At issue is the 1988 Video Privacy Protection Act, which prevents video rental services from disclosing users' viewing habits without written permission. Congress passed the law following the failed Supreme Court nomination of Robert Bork, whose video rental records were leaked to the press during the nomination process. Because Netflix's Facebook app would only get permission once before automatically sharing all movies watched, Netflix fears that the app may violate the 1988 law. Outside the United States, the app is available in every country where Netflix operates. "The friction that this ambiguity creates places a drag on social video innovation that is not present in any other medium, including music, books and even news articles," David Hyman, Netflix's general counsel, told Senators. The U.S. House of Representatives has already passed a bill that makes Netflix's frictionless sharing app legal--it's the Senate that's meeting Netflix with some resistance, particularly from the lead author of the 1988 law, Patrick Leahy. "A one-time check off that has the effect of an all-time surrender of privacy does not seem to me the best course for consumers," Leahy said at the subcommittee hearing, according to Reuters. 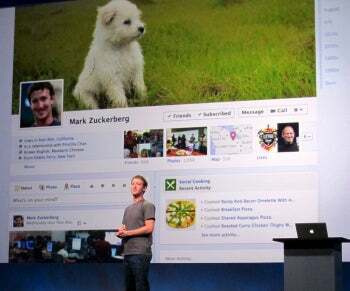 Facebook's new Timeline comes with frictionless sharing. Senator Al Franken, chairman of the subcommittee, also expressed reservations. "This is really sensitive stuff," he said in his opening remarks. "And that's why the Video Privacy Protection Act is so important--it gives you the right to tell your video company what can be shared and what can't." But the Senators who oppose revising the law are missing an important point: The automatic sharing that Netflix seeks is now the norm on Facebook. With Facebook's new Timeline, apps are allowed to share all user activity after getting the "one-time check off" that Leahy fears. Spotify, for instance, can automatically share your listening habits, and LivingSocial can share what items you've bought. No law explicitly forbids this kind of sharing for other content, even though the potential privacy issues are the same. So it seems silly to discriminate against video services such as Netflix, while other apps are free to share all kinds of content automatically. I'm not a fan of Facebook's frictionless sharing, but I'm even more opposed to the government singling out certain categories of media for punishment. Unless lawmakers want to pass draconian privacy measures to restrict Facebook sharing as a whole, it's only fair to let Netflix enjoy the same sharing privileges as every other app.